The last person to walk on the moon was Eugene Cernan in December 1972, and Nasa wants to change that. 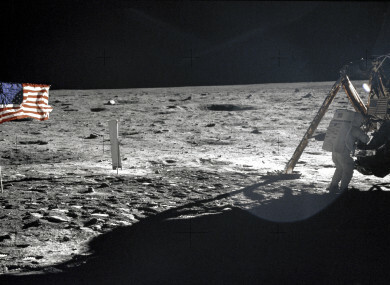 Neil Armstrong during the Apollo 11 mission in July 1969. Jim Bridenstine, Nasa’s administrator, told reporters that the agency plans to speed up plans backed by President Donald Trump to return to the moon, using private companies. “It’s important that we get back to the moon as fast as possible,” said Bridenstine in a meeting at Nasa’s Washington headquarters, adding he hoped to have astronauts back there by 2028. “This time, when we go to the Moon, we’re actually going to stay. We’re not going to leave flags and footprints and then come home to not go back for another 50 years” he said. Before humans set foot on the lunar surface again, Nasa aims to land an unmanned vehicle on the Moon by 2024, and is already inviting bids from the burgeoning private sector to build the probe. The deadline for bids is 25 March, with a first selection due in May, a tight timeline for an agency whose past projects have run years behind schedule and billions over budget. “For us, if we had any wish, I would like to fly this calendar year. We want to go fast,” said Thomas Zurbuchen, the associate administrator of Nasa’s Science Mission Directorate. However, he admitted that “we may not be able to”. Nasa’s accelerated plans flesh out the Space Policy Directive that Trump signed in December 2017, envisaging a return to the Moon before a manned mission to Mars, possibly in the 2030s. Nasa plans to build a small space station, dubbed Gateway, in the Moon’s orbit by 2026. It will serve as a way-station for trips to and from the lunar surface, but will not be permanently crewed like the International Space Station (ISS), currently in Earth’s orbit. As with the ISS, Nasa would seek the participation of other countries, who could provide some of the necessary needed, such as modules for the Moon station or vehicles to allow landings on the surface. “We want numerous providers competing on cost and innovation,” Bridenstine said. Before this manned program, Nasa is also pushing to send scientific instruments and other technological tools to the Moon in 2020 or even before the end of this year. The agency is also calling for quick-turnaround bids to manufacture and launch such instruments, offering financial incentives to make it happen fast. Email “Nasa stepping up plans to go back to the moon... and stay there this time”. Feedback on “Nasa stepping up plans to go back to the moon... and stay there this time”.